Caol Ithe Guest House is located at Fionnphort with panoramic views over the beautiful Ross of Mull and Iona, just a two minute walk to the Iona ferry. We offer 4 luxury rooms and high quality breakfast, also 2 self-catering cottages. Caol–Ithe Guesthouse (in the Gaelic - 'the Sound of Iona') offers an abundance of comfortable and luxurious accommodations with 3 en-suite bedrooms and one twin room with a separate and private bathroom across the hall, all neatly packaged in a modern easily accessed and spacious bungalow with its own visitor’s parking. All our rooms have flat screen TV, Internet access, Tassimo Tea and Coffee making facilities and complimentary toiletries. Locally sourced breakfasts are served in our spacious dining room with 180 degree views West to East from the Sound of Iona to Ben Mhor and beyond. The Residents Lounge is equipped with a viewing area and has a comfortable inner lounge with flat-screen TV, CD Player and radio. For residents please use the house as you would a small hotel where the lounge is always open and surrounding the house is our lovely garden for you to enjoy and immediately beyond that, the wildlife paradise that is the Ross of Mull. Ideally a two day stay or more on The Ross of Mull is recommended - there is so much to experience! Breakfast is extensive and dishes are prepared from the best of local products wherever possible. Tobermory Smoked salmon with scrambled eggs and tomato garni. Tobermory Smoked Haddock with poached eggs and tomato garni. Two eggs cooked to your request or combinations of the same. Three breakfast pancakes, cooked in butter, with back bacon, served with fruits of the day and maple syrup. Two slices of homemade bread marinated in whipped egg and milk pan fried In butter and served with fruits of the day and honey or maple syrup. Vegetarian sausage, grilled tomato, baked beans, mushrooms, and two Free Range eggs of your choice. Caol-ithe is the perfect base from which you can explore the stunning isle of Mull; the Abbey at Iona; trips to Fingal’s Cave, Staffa and Sister Islands, where wildlife and the outstanding scenery will make you wish that you lived here all year round. Fionnphort is a working seafaring village and supports local shops and a Post office, a fine pub and restaurant (The Keel Row) and a five star eating experience, the 9th Wave Restaurant. There are also restaurants and cafes at Bunessan, the Argyll Arms Hotel, the Old Bakehouse and The Pennygael Hotel. We are on the regular service bus route from Tobermory and the ferries at Fishnish and Craignure, The bus stops at the door making travelling by public transport straight forward and accessible. 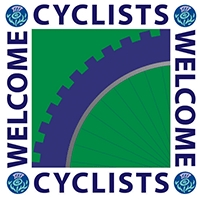 Cyclists and walkers of course are most welcome. We have a garage for your bikes! Cathy and Mike Drury will make you most welcome where a comfortable bed, a great modern room and a superb breakfast will prepare you for discovering our beautiful Island of Mull, Iona, Fingal's Cave and the many other natural attractions of this wonderful place. Should you have special dietary requirements, packed lunches or require an evening meal, then these are available on request at time of booking.